If you participate in the commercial ritual of end-of-the-year presents, please avoid the digital products that would mistreat the people you give them to. RSS site feed for the most recent political notes and new material. 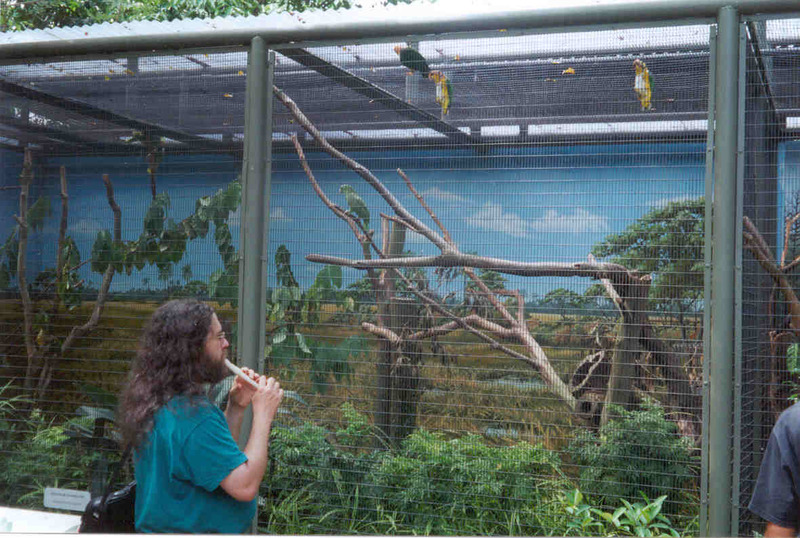 This is the personal web site of Richard Stallman. The views expressed here are my personal views, not those of the Free Software Foundation or the GNU Project. If you want to send me GPG-encrypted mail, do not trust key servers! Some of them have phony keys under my name and email address, made by someone else as a trick. See gpg.html for my real key. I am looking for a few more volunteers to help install new political notes on the site. 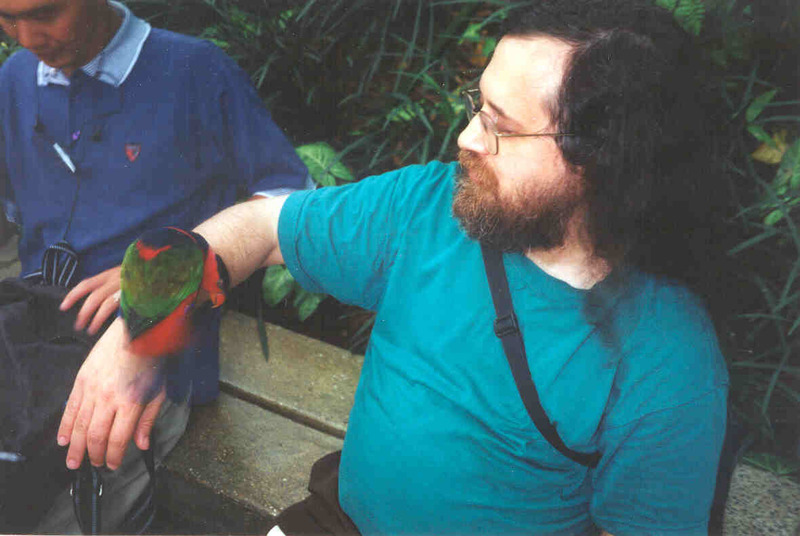 If you'd like to help me in this way, please write to rms at gnu period org. The FSF is looking to hire a campaigns manager. Support the US Green Party. Support the Citizens' Climate Lobby. Please donate to the Free Software Foundation to support its work for your freedom. "They" is plural — for singular antecedents, use singular gender-neutral pronouns. The largest part of the site is the political notes, and they are typically updated every day. help install new political notes on the site. If you'd like to help me in this way, please write to rms at gnu period org. write a firefox extension that will properly display the images in a Guardian page such as this in IceCat with LibreJS enabled? find articles about games that lure and pressure users into spending a lot of money on competitive advantages, or letting their children do so. I've concluded this is a form of malicious functionality, and I want to make a list to add to https://gnu.org/malware/. If you know of an article, please email me the URL. send me examples of how proprietary programs have been designed to be addictive. send me examples of how proprietary programs have been designed to cause programmed obsolescence of products. find replacements for a few of the broken links in political notes and send them to mail@danmun.ro. If you look thoroughly for a replacement link but you don't find one, please report that too. browse various sites and show me items that I ought to see and link to. If you would like to help me in this way, please write to rms at gnu dot o r g.
(in India) make and sell buttons that say, "DON'T BE TRACKED PAY CASH", in English and/or a local language, to resist the campaign against cash. Talk with a local company that makes buttons, buy a batch of 50 to 500 buttons for a quantity price, then sell them for 2 or 3 times that price. volunteer to post videos of my talks on audio-video.gnu.org. help maintain and operate savannah.gnu.org. write site-specific Firefox extensions or local scripts to operate specific web sites. experiment to find good ways to attach fruits to a Grav-mass tree. Please email rms at the gnu site if you want to volunteer for any of those activities. For the Grav-mass decorations, please write if you come up with a good way. 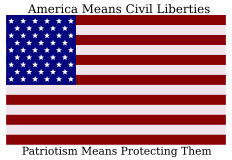 Americans, you may wish to copy this icon to your own page, as a way of showing what patriotism means to you. US citizens: call on Speaker Pelosi to lead the change Democratic voters want to see. If you sign, please spread the word! US citizens: call on Congress to pass the BE HEARD in the Workplace Act. US citizens: call on the Social Security Administration to stop pushing policies that undermine Social Security. US citizens: Become a Grassroots Co-Sponsor of Medicare for All. US citizens: call on your state to join the National Popular Vote Compact. Everyone: call on Florida legislators to respect amendment 4 and let ex-cons vote. US citizens: call on businesses not to hire, or put on the board, anyone involved in the bully's family separation policy. US citizens: call on Congress to start the process of eliminating the electoral college. The Capitol Switchboard numbers are 202-224-3121, 888-818-6641 and 888-355-3588. US citizens: call on Congress to end the harassment and surveillance of journalists at the US southern border. US citizens: call on airlines to stop installing cameras and microphones that can observe passengers in their seats. US citizens: call on Congress to support Medicare for All. US citizens: call on the Senate to reject nominees that support family separation. US citizens: call on your congresscritter to reduce the military budget. Listen to the recording of Guantanamero, a protest song written in Spanish. The recording is in Ogg Vorbis format. To install an Ogg Vorbis player, see the FSF's Ogg Players page. "Zumigo, which sold the location data of American cell phone users, wanted the FCC to remove requirements around user consent." Requiring consent is not sufficient to make this acceptable. We need to require that any software that can send a user's location offer the option of spoofing the location. Socialism for the rich now includes oil companies in the UK, which are shirking the responsibility to clean up and shut down oil drilling platforms in the North Sea. Big companies have a history of using bankruptcy to evade responsibilities, even pension obligations. Rather than trust a company to come up with money later to carry out its responsibilities, we should make it put the money in escrow in advance when it incurs the obligation, on a schedule that collects the money while the project is profitable. Facebook and Google provide support on contract to specific political campaigns. Given the role they play in communication between citizens, this is a conflict of interest, and should be prohibited. The way to reduce the waste from plastic things is to reduce the quantity of such things that are made. "Recycling" plastic by burning it is even more ironic than the article says. The process consists basically of extracting petroleum from the ground and then burning it, but differs from the usual way of doing so in that the petroleum (more precisely, some fraction of it) passes through an intermediate stage as plastic. This does not reduce the greenhouse gas output. Imagine if every item made of plastic — even fairly durable items — carried a deposit. If the item is recycled in less than 5 years, the consumer gets the deposit back. If it is recycled after 5 years, the consumer refund is a decreasing fraction of the original deposit; after 10 years, the refund goes to zero. This law would engourage making plastic items that would remain usable for a longer period of time. It could even help put an end to planned obsolescence. More items where there ought to be a law. Here are some quotations that I particularly like. If you can see this, your browser does not support iframes. You can see the pol-notes on the pol-notes pages. See the current pol-notes page for more. Copy this button (courtesy of R.Siddharth) to express your rejection of Facebook. Facebook's face recognition demonstrates a threat to everyone's privacy. I therefore ask people not to put photos of me on Facebook; you can do likewise. Of course, Facebook is bad for many other reasons as well. Boycott Harry Potter Books, Movies, etc. I'd like to make a list of countries that do not require a national identity card, and have no plans to adopt one. If you live in or have confirmed knowledge of such a country, please send email to rms at gnu.org. Here's my list of countries with no national ID cards and no plans for one: Australia, Canada, New Zealand, UK. Australia's previous government tried to institute national ID cards, but the Labor government dropped the plan. India has mostly finished imposing a national biometric ID number in a grand act of oppression. Iceland doesn't have ID cards as such, but they have ID numbers that citizens are forced to use frequently. For example, the national ID number is often required to rent a video or use a gym. Denmark issues non-photo ID cards with a "person number", and many services use this card to identify people. Norway will impose a national biometric ID card. Ireland - national ID card by stealth. ACLU: the five dangers of national ID cards. Stay away from certain countries because of their bad immigration policies. Avoid flight connections in these airports because of their treatment of passengers. People often ask how I manage to continue devoting myself to progressive activism (such as the free software movement) for years without burning out. The best way I can answer is by recommending a book, The Lifelong Activist by Hillary Rettig. I disagree with the book on one theoretical point in the last part of the book: we shouldn't think of political activism as being marketing and sales, because those terms refer to business, and politics is something much more important than mere business. However, this doesn't diminish the value of the book's practical advice about borrowing techniques from marketing and sales. Disclosure: I am friends with the author. 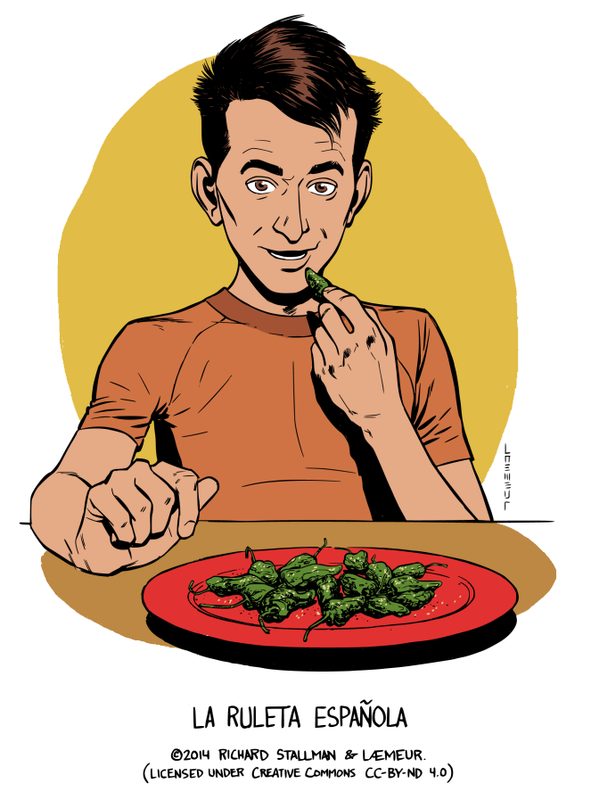 Writing (mostly science fiction) by my friend Bob Chassell who recently died. 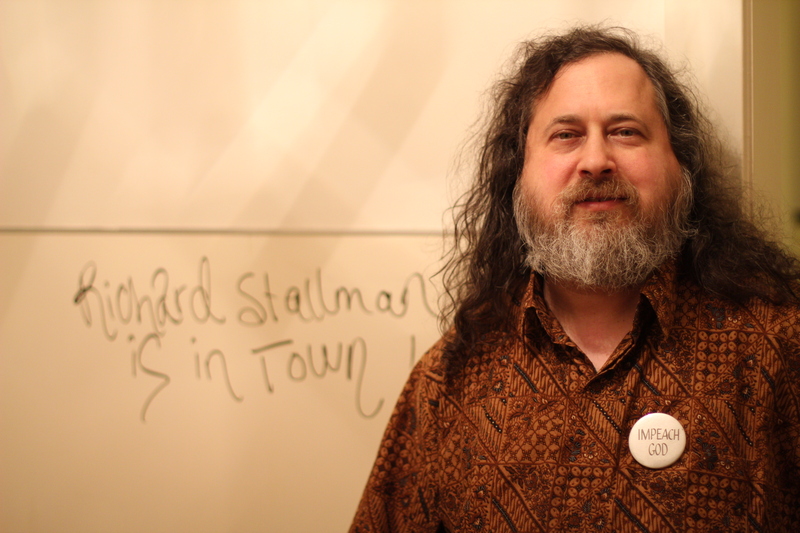 Personal Declaration of Richard Stallman and Euclides Mance on Solidarity Economy and Free Software. These are my political articles that are not related to the GNU operating system or free software. For GNU-related articles, see the GNU philosophy directory. You can also order copies of my book, 'Free Software, Free Society, 3rd edition', signed or not signed. How Much Surveillance Can Democracy Withstand? Adapting the Marseillaise to the greatest threat to civilization. Earth under attack from planet Koch. My criticism of the The Zeitgeist Movement. The Venus Project is more or less the same idea. The states need to form a union. "Those who profess to favor freedom, yet depreciate agitation, are men who want crops without plowing up the ground. They want rain without thunder and lightning. They want the ocean without the awful roar of its many waters. This struggle may be a moral one; or it may be a physical one; or it may be both moral and physical; but it must be a struggle. Power concedes nothing without a demand. It never did and it never will." Here are notes about various issues I care about, usually with links to more information. The current notes are here. For all previous notes, see this page. See this page for information on efforts to maintain links in the political notes. Political notes about the 2001 G8 summit in Genoa, Italy are being archived on their own page. Richard Stallman's bio and publicity photos, and other things of interest to the press, have been moved to a separate page. How it happened that I planned speeches at Israeli universities, then cancelled them. All of my photos, organized by location, from my trips. Photos people like best, among those I have taken and posted here. my visit to Brazil: some from Rio de Janeiro and some from Porto Alegre where the Software Livre 2000 event was held. A photo of me by Blake Livingston (may be used under CC-BY-SA). Homeopathy debunked, and thoroughly, as pseudoscience. On doxing, and how to spell it. A Spanish cartoon: La Ruleta Española. Here I am wearing my "power tie". Here I am struggling to open a bottle of water. New song (06/2016) - Si la face ay pale. My Puns in English (Chicken crossing the big street, April 2019). --Saint IGNUcius-- The Church of Emacs will soon be officially listed by at least one person as his religion for census purposes. There are no godfathers in the Church of Emacs, since there are no gods, but you can be someone's editorfather. 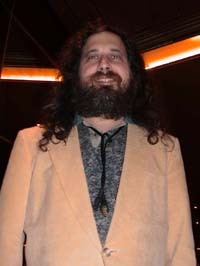 Stallman Does Dallas: "I have to warn you that Texans have been known to have an adverse reaction to my personality . . . "
The Dalai Lama today announced the official release of Yellow Hat GNU/Linux. I found A funny song about the Mickey Mouse Copyright Act (officially the Sonny Bono Copyright Act) which extended copyright retroactively by 20 years on works made as early as the 1920s. If you are a geek and read Spanish, you will love Raulito el Friki, who said "Hello, world!" immediately after he was born. Here's an archive of this now-defunct comic strip. Sleeping with Stallman at MIT. ESR's favorite programming language: Objectivist C.
The huns and the writs. I don't know who wrote this, but I hope he does not object to sharing it here. A science fiction story: Jinnetic Engineering (in Portuguese, Farsi, Spanish, Armenian, Russian, French, and Italian). My book of essays about the philosophy of Software Freedom, is available from the GNU Press. Avec des chapeaux French song parody. My radio program of Music from Georgia, originally broadcast on WUOG in Athens, Georgia on Oct 13, 2014. A proposal for gender neutrality in Spanish, suitable for both speech and writing. Origin of the POSIX name. On Hacking: In June 2000, while visiting Korea, I did a fun hack that clearly illustrates the original and true meaning of the word "hacker". Positive Internet for sponsoring this web site. Pawel Bokota, Lake Denman, Mark Eriksen, Eduardo Freitas, and Joe P. Lee for installing new text. Mark Eriksen for providing the new search feature. Craig Metrolis for working on making pages valid html. John C. Vernaleo for helping to run the site. Graziano Sorbaioli for improving the layout of the main page. Please send comments on these web pages to rms at gnu period org.